Learning how to learn from each other and to use work-based projects as a vehicle for learning and return on investment (ROI) – for the learner and the workplace. DT, B Dip. Dining Room Supervisor, Beaches Sandy Bay. WC, B Dip. Dining Room Service, Sandals Negril. CB, M Dip. 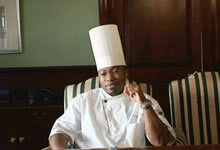 Executive Sous Chef, Sandals Negril. CL, M Dip. Front Office Manager, Sandals Negril. DAP, M Dip. 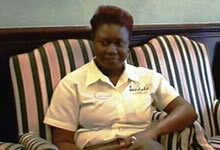 Spa Manager, Sandals Negril. FH, M Dip. Food and Beverage Director, Sandals Negril. JG, M Dip. 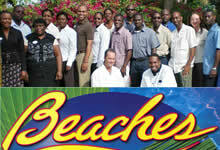 Loyalty Managers, Sandals Negril. SB, M Dip. Food and Beverage Service Manager, Sandals Negril. TRS, M Dip. 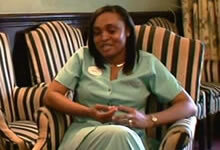 Spa Manager, Sandals Negril. Stepping-up action learning skills using a web of personal support (learning coach, specialist advisers and others), by sharing learning and insights (with group project colleagues) and managing a project support team (including a project client). Using work-based projects as a vehicle for learning and return on investment (ROI) – for the learner and the workplace. The project: The piloting of a self review framework to assist team members and the restaurant management teams at Beaches, Turks & Caicos to enhance service performance. The aim: To create a self review framework as an internal mechanism for gathering feedback on operational variances and identifying corrective action so as to improve online customer satisfaction scores. The project: ‘Operation heart of the house’: Enhancing staff facilities and safety as a mechanism for staff retention and development. The aim: To review, repair and enhance the back of house services and facilities for staff members and the management of goods received and waste management and recycling. 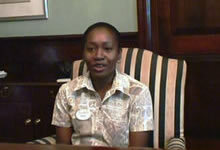 The project: To review and improve the accounting procedures for managing and reducing charge backs for guest services. The aim: To develop procedures to reduce and resolve the replacement cost of bath robes provided for guests to use at the resort (but taken by guests on departure) and ensure that the correct charges for ancillary guest services (e.g. babysitting) are posted prior to guest departure. Team 3: Orian, Keva, Wal, Tanya, Courtney. The project: Sea shore excursions. The aims: To increase sales through the Beaches, Turks & Caicos tour desk; Increase revenue opportunities through cross-promotion and enhance the guest’s vacation experience on tours by fostering family experiences. By the time that participants reach level 5, they are expert action learners who understand how to use the process for their own personal and professional development and to solve significant challenges at work. They are convinced of the value of lifelong learning, they can track their own development and provide tangible and verified evidence of return on investment for themselves and the workplace. They also know how to facilitate and to coach others in the use of action learning. 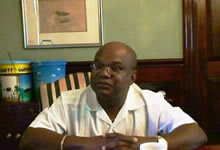 JRG, B Prof. Entertainment Manager, Beaches, Turks & Caicos. 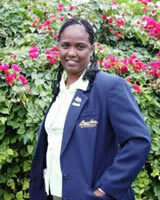 RP, B Prof. Assistant Training & Development Manager, Beaches, Turks & Caicos. 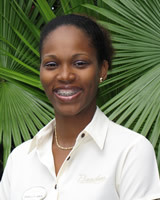 TSP, B Prof. Senior Sales Manager, Beaches, Turks & Caicos. "You can have 50 years of experience, but if you don’t have ‘black and white’ (qualifications) and someone else has only one year of experience, but they have ‘black and white’ – the qualified person is going to get the job. We do training every day, but it is the development (and self-development) that is most important. Action learning is the best way to accomplish this because the team member benefits and the company benefits. Action learning has made a huge difference here at BTC. If you have started working already, then the best way to enhance your career is through action learning." Professional Bachelor degree graduates, Beaches Turks & Caicos, 9 March 2009. Twelve team members at Beaches Resort & Spa, Turks & Caicos Islands (TCI) complete their GULL professional Bachelor degree on 9 March and feature on ‘4 News’ TCI Television (see homepage: ‘News’ item) and in the National press. Also features GULL’s first group in Jamaica at Sandals Negril Resort & Spa, who complete their foundation level work on 16 March.